Even while adding nearly 2,800 new apartment units over the past six months, the Triangle’s vacancy rate for apartments in the region remained a steady 6.1 percent in the second half of 2016, according to the most recent AptIndex report by Charlotte-based Real Data. And, as for now, its looking like increasing demand for apartment units in the Triangle is expected to keep up and even exceed all the new construction across the region. Whetstone Apartments at 501 Willard St., Durham. “The overall market is doing great and is expected to continue with average vacancies around 6 percent,” says Engle Addington, a multifamily analyst for Real Data’s AptIndex surveys in North Carolina and Virginia. At this point, the Triangle is tracking below the Southeast U.S. Index average of close to 7 percent, and could drop below 6 percent vacancy over the next 18 months. The Triangle had 5,894 units under construction, as of late January when Real Data’s survey was conducted. The market has another 4,381 units proposed for future development. By comparison across the state, Charlotte’s apartment vacancy, as of September, was 5.9 percent with more than 10,000 apartment units under construction and another 13,000 units proposed. 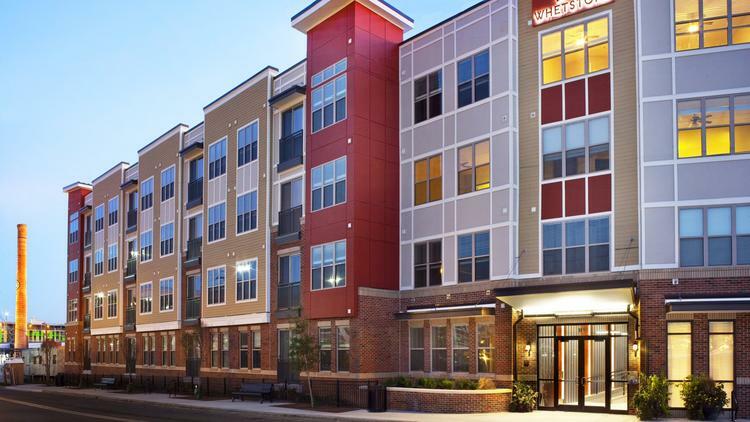 The Triad apartment vacancy rate was 5.6 percent, as of October 2016 with 2,700 units under construction and another 2,200 units proposed. Wilmington’s apartment vacancy rate was 4.6 percent, as of its most recent report in June 2016, with 1,600 units under construction and another 1,600 units proposed, according to Real Data. Average rental rates for apartments in the Triangle also increased 3.5 percent compared to the year prior and is now at $1,055 per month, or $1.095 per square foot. Same-unit rents are forecast to increase another 3-4 percent in 2017.